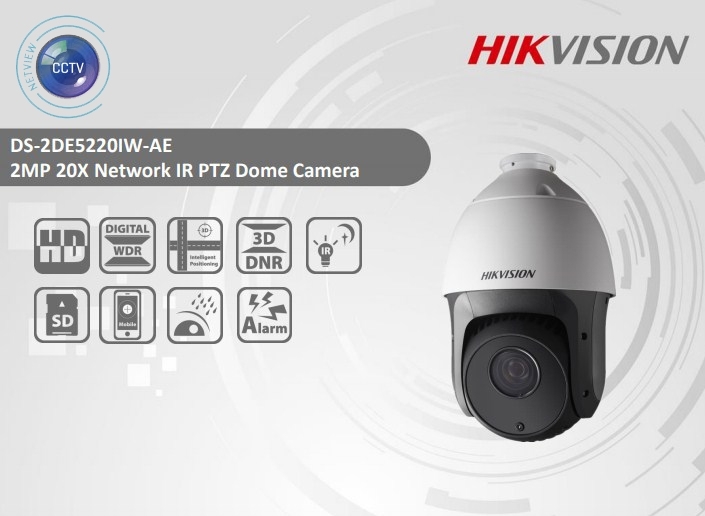 Hikvision DS-2DE5220IW-AE PTZ Dome Cameras are able to capture high quality images in low light environment with its black anti-reflective glass. The black anti-reflective glass increase the luminousness which can reach up to 150m IR distance. Embedded with 1/2.8’’ progressive scan CMOS chip makes DWDR and 2MP real-time resolution possible. 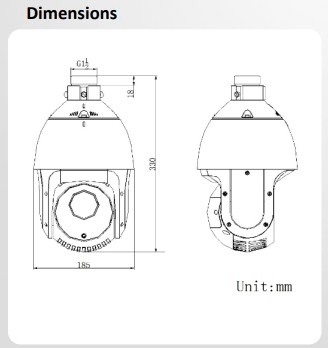 With the 20X optical zoom Day/Night lens, the camera offers more details over expansive areas. 2 alarm input and 1 alarm output, alarm linkage support preset, patrol, pattern, recording, realay output, upload center, etc.